Relation Between Biofilms and Ear Infections - YeastInfection.Org by Eric Bakker N.D. Recent studies have not only redefined the underlying cause of ear infection recurrences, but have also challenged how infections are treated. While chronic infections were traditionally believed to be re-infections, evidence now shows persistent biofilms are the culprit (read candida and biofilms connection). The Journal of the American Medical Association published a study in 2006 that showed biofilms were present in 80% of children with chronic ear infections. A 2007 literature review in Laryngoscope synthesized a variety of studies to conclude that biofilms are formed in chronic ear, nose, and throat infections resistant to antibiotics, and as the medical field learns more about their complex nature, treatments for infections will change. Can I Use Apple Cider Vinegar With A Yeast Infection? Bacteria will form biofilms when they do not die off from antibiotic use. There has been an increase in antibiotic resistance, and recurring ear infections are an implication that the treatment being used is not working. Conditions such as inflammation, missing a dose, or stopping antibiotic treatment earlier can cause thicker biofilm formations. Who is Most Susceptible for Ear Infections? Children are most prone to ear infections as they can easily catch colds and other viruses which lead to infection. Children’s anatomy also differs from adults. Bacteria thrives in fluid, and the area behind a child’s eardrum is shaped almost horizontally, so fluid buildup and stagnant movement are common. In adults, the fluids usually empty out because the inner ear tubes slope downward, thus preventing bacteria from settling and breeding. Fluid buildup can occur in anyone from drinking while laying on one’s back, food sensitivities, allergies, second-hand smoke, and a lack of being breastfed to build up one’s immune system. Symptoms for this infection include a low fever, severe and throbbing pain worsened when the earlobe is touched or tugged, or discharge from the ear. Irritability and difficultly sleeping, appetite loss, and problems with balance are common symptoms in children. Other signs for both adults and children include headache, dizziness, or cold symptoms, such as a cough, which last for several days. Ear infections are normally diagnosed with an otoscope to look into the ears, and a pneumatic otoscope, which allows doctors to evaluate how much fluid may exist behind the eardrum. A puff of air is sent into the ear. Little to no movement in the eardrum implies excessive fluid buildup. Even if there is buildup, there may not be signs of an infection. Many doctors nowadays will wait to see if the ear infection clears up without use of antibiotics. How Long can the Infection Last? The immune system will usually clear ear infections on their own without treatment within a few days. Excessive fluid can cause an eardrum to rupture because of pressure, however the pain and infection will generally clear when this happens. The eardrum can take as little as two weeks to repair itself. Young children may have pain that lasts for more than a week even after the infection is gone. Probiotics are critical for supporting healthy immune function and fighting bacteria. Medical studies are focusing on infection prevention to avoid biofilm formation. A review of 30 articles published in 2001 by Otolaryngology Head Neck Surgery concluded that probiotics were one of three beneficial treatments, along with surfactants and surgery, for chronic ear infections. Gentian violet was shown to completely destroy biofilms, however the safety of using it in the ears is disputed. 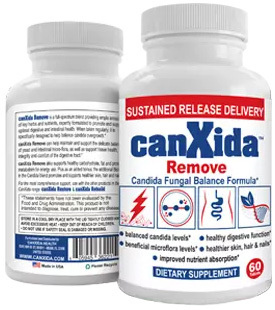 Not all probiotics are created equally, Canxida Restore is one of the leading probiotics for infections, with DDS-1 strain that is resistant to antibiotics. Ear infections can be viral, bacterial, or fungal, and natural remedies tend to have compounds that fight all three causes. Eardrops containing garlic and mullein can help soothe and fight bacterial infection. Consult with a doctor before using ear drops in a child in case of a ruptured eardrum. Olive leaf can be dropped into the ear or taken orally. Zinc and extra vitamin B can strengthen the immune system and fight infections. Pain may be reduced by placing a warm, damp washcloth or clean sock over the affected ear. Adding heated salt into a damp or dry cloth is another option. The heat may help draw out fluids. Using an onion or garlic poultice compress is another common remedy. Place a chopped, preferably warm onion or garlic bulb between gauze or a cloth, secure around the head with a bandana or skin-safe tape, and let sit for 10 minutes if the poultice is room temperature, or 5 minutes if warm. Onion juice, apple cider vinegar, tea tree oil, and colloidal silver are other natural antimicrobial options that are often used in home remedies. Use three drops in the ear (one drop tea tree oil diluted in water or oil), or on a cotton ball placed in the ear for 5 minutes, two to three times per day. With liquids such as vinegar and onion, let the ear drain and use a blow dryer on low heat to dry the ear. Some ear infections may be caused by allergic reactions to food, such as dairy and wheat. Avoid all common food allergens (wheat, dairy, peanut butter, corn) while fighting an ear infection, even if you don’t believe that you have allergies. Avoid starchy and high-sugar foods, including fruit juice. Second-hand smoke and other poor air quality conditions can worsen or cause infection. What can Happen if You Leave Ear Infections Untreated? The body’s immune system may clear up an infection without treatment. Severe infections may cause temporary hearing loss or bloody fluid discharging from the ear, however the body is usually capable of healing the damage. When the body’s natural defenses cannot fight off an infection and the problem goes untreated, serious complications may occur including infections in the head, permanent hearing loss, or damage requiring surgery. Children whose bodies are unable to get rid of infections without treatment are prone to mastoiditis, an infection of the mastoid bone in the skull. While this used to be a cause of death in children, the disease is uncommon and less dangerous now. Meningitis in adults and children is another concern. What are Some Good Home Remedies? Please refer to the natural treatment section of the article, I have shared numerous natural remedies. Though ear infections are not directly contagious, they can occur from catching a cold or flu.